Rich met with ooma recently to see their latest wares and hear about their current business model. 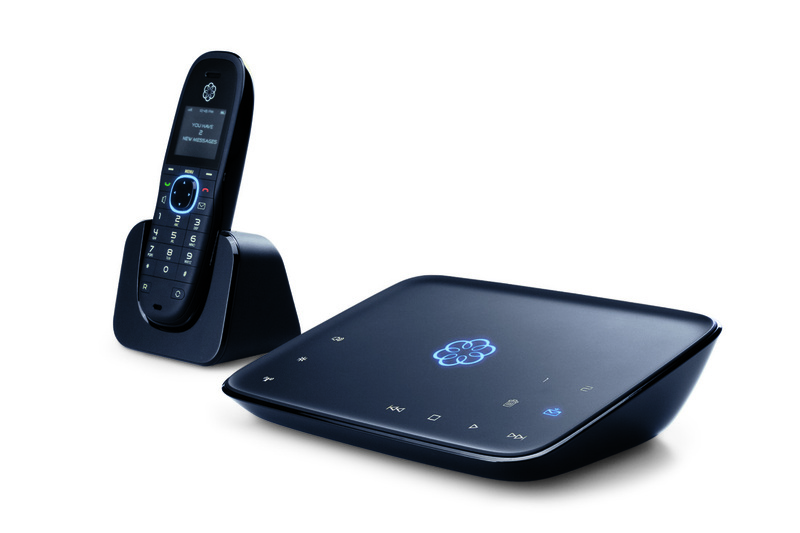 Recently, ooma ditched the 'P2P voice network' idea where users actually "share" their home landline with others and instead became a traditional VoIP broadband provider. Apparently, the privacy issues were too much to overcome, since users were concerns about fraudulent activity happening on their home landline by outside ooma users. I had my own reservations about the business model as well, since they claimed it would take 2,000 strategicly placed ooma boxes in all the various local exchanges to get good local call coverage for free P2P calls. ooma's Telo phone system with DECT 6.0 handset. The "free" unlimited calling puts them on par with magicJack, but the magicJack is much less expensive (magicJack costs $39.99 1st year, and $19.99/yr in subsequent years). Pricing for Telo has not been announced, but I'm sure it will be much more expensive since the hardware costs so much more. One advantage for Telo is that magicjack requires your PC to be on all the time to make/receive calls over its USB-based dongle. The Telo phone system is a standalone phone that has no such restriction. It's also a multi-line and multi-handset phone platform, so it's more suitable to busy households that require multiple lines or phone handsets. Check out Rich's post for more on Telo and how the FCC is actually an investor in ooma. Rich met with ooma recently to see their latest wares and hear about their current business model. Recently, ooma ditched the 'P2P voice network' idea where users actually \"share\" their home landline with others and instead became a traditional VoIP broadband provider. Apparently, the privacy issues were too much to overcome, since users were concerns about fraudulent activity happening on their home landline by outside ooma users. I had my own reservations about the business model as well, since they claimed it would take 2,000 strategicly placed ooma boxes in all the various local exchanges to get good local call coverage for free P2P calls. The \"free\" unlimited calling puts them on par with magicJack, but the magicJack is much less expensive (magicJack costs \$39.99 1st year, and \$19.99/yr in subsequent years). Pricing for Telo has not been announced, but I'm sure it will be much more expensive since the hardware costs so much more. One advantage for Telo is that magicjack requires your PC to be on all the time to make/receive calls over its USB-based dongle. The Telo phone system is a standalone phone that has no such restriction. It's also a multi-line and multi-handset phone platform, so it's more suitable to busy households that require multiple lines or phone handsets.